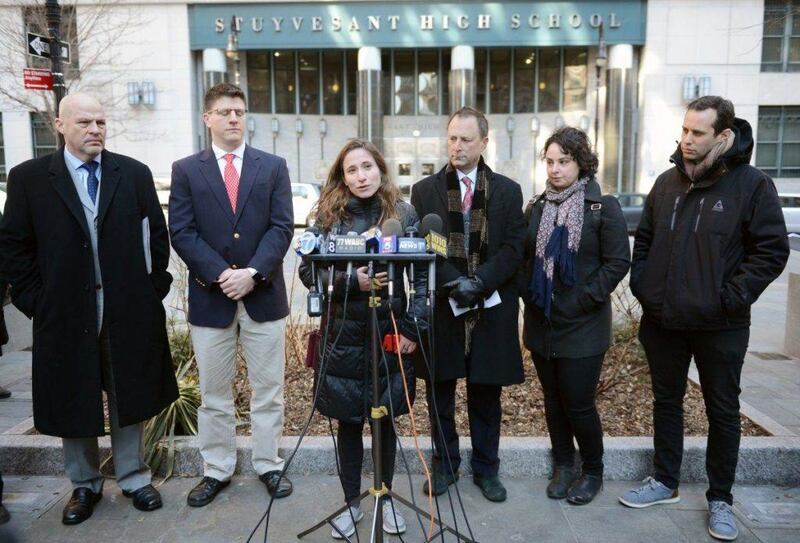 This week on Thursday, I had the honor of speaking at a major press conference at New York City’s Stuyvesant High School, which stands in the shadow of the former World Trade Center. Our goal was to let the public know that former students, teachers, local residents, and office workers are developing 9/11-related illnesses at the same alarming rates as the first responders. In partnership with the United Federation of Teachers, I spoke alongside President Michael Mulgrew as well as several sick students who were attending Stuyvesant High School during and after the attacks. One by one, they told their stories, detailing the events of that day and the toxic dust in and around their school that they were exposed to during the 8 months that followed. They spoke about how they believed the Environmental Protection Agency when it told the public that “the air is safe”. In turn, their parents allowed them to return to school, notwithstanding the acrid haze in and around all of downtown. Michael Barasch discusses the devastating toll that 9/11 has taken on those who were living, working, or volunteering downtown during or after 9/11. UFT President Michael Mulgrew discussing the rights of those who were caught in the toxic 9/11 dust. Stuyhealth founder Lila Nordstrom and other former students share their experiences on and after 9/11, given that they attended school downtown. The press conference in the morning was followed by two informational forums at Stuyvesant High School, where attorneys and legal assistants from Barasch & McGarry and over a dozen UFT staff members met with many former students and teachers. The firm is proud to help everyone with respiratory symptoms or cancer register for the WTC Health Program. As I always do, I urge you to please spread the word about this health crisis. Registering for the World Trade Center Health Program is crucial; early detection can save your life. Feel free to look at the initial press covering yesterday’s important events, below.